Vice-Chair of our Irish Dementia Working Group Kathy Ryan who was diagnosed with dementia in 2014 shares her story. Our dementia advocates talk about how dementia should not be hidden in Ireland and people should speak about the issue openly to take away the stigma. Please host an event on Tea Day and help people with dementia to live the best version of their lives. 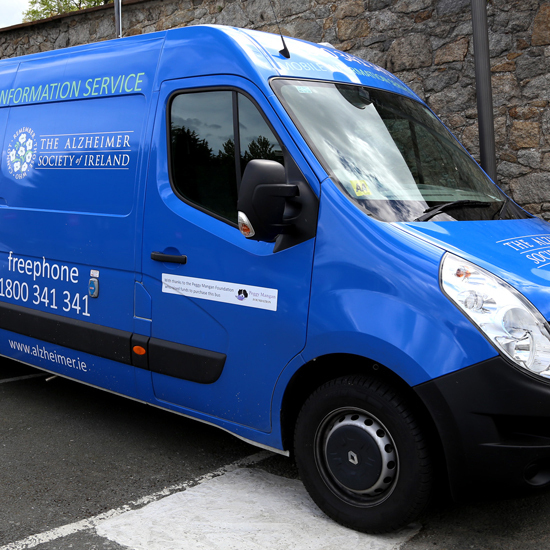 The Mobile Information Service travels through towns, villages and cities to provide information and support to people living with dementia and their families as well as those concerned about their cognitive heath.